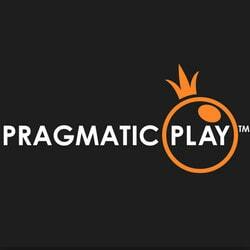 This summer a new live dealer casino games developer was “born”, it’s called Pragmatic Play Live, created after Extreme Live Gaming was bought out in June by the group Pragmatic Gaming (which is also the name of software- Editor’s note). With this transaction the group is going in a new direction and is furthering its ambition to become a leader in the iGaming industry. Active in the iGaming industry since 2013, Extreme Live Gaming used to belong to the powerful Novomatic group. Over the past five years, it has proven its worth and shown that it was able competition for the main big names in the live dealer gaming sector such as Evolution Gaming, Ezugi, Authentic Gaming and others. The developer quickly developed a diverse range including ten live tables streamed from its studios in London and Malta. It stood out particularly for its several versions of Roulette: Golden Ball, Lucky Lady’s Roulette, Multi Wheel roulette etc. Live Baccarat and Live Blackjack were also included in its range which now belongs to the Pragmatic Play group. Extreme Live Gaming won’t actually disappear but will operate under the name of Pragmatic Play Live. It’s most likely that over the next few months the developer’s range will be rejuvenated and enlarged. With this take over, Pragmatic Play is now among the developers capable of supplying a complete range of online casino games. The group already offered a range of RNG games made up of more than 100 slot machines and also table games such as Roulette, Baccarat and Blackjack, scratch cards and Bingo. Now, through Pragmatic Play Live, it will also offer the latest generation of live dealer games popular with the public. The take over of Extreme Live Gaming also involved the acquisition of its clients. So Pragmatic Play Live is now the supplier of online casinos that were with the London based developer including the Cresus Casino and the Cashpot Casino. A few new virtual casinos have also joined the client list since their launch and now offer live dealer table games under the Pragmatic Play Live name in their live sections.